My professional experience in the credit business goes back more than 25 years and is focused on corporate and real estate transactions. I started up my consultant services company as registered sole proprietorship in 2008. Finally, Hofstetter Consulting GmbH was founded in 2014. In the same year, I joined GSUB (Gesellschaft für strategische Unternehmensberatung, www.gsub.at), as a Senior Partner. 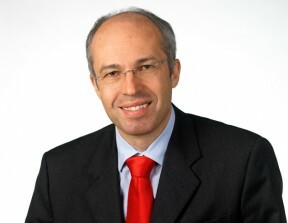 From 2002 to 2013, I held different positions within the Group of Österreichische Volksbanken AG – transaction manager for major financings in Central and Eastern Europe, supervisory board member and portfolio controller for Eastern European subsidiary banks as well as syndication manager for corporate and real estate loans. From 1996 to 2001, I worked at Salzburger Sparkasse Bank AG as corporate account manager with detailed cross selling expertise. Moreover, I had the signatory authority to act for the bank (Prokura) and was deputy head of a corporate customer competence centre. During my first years of professional life from 1988 to 1996, I worked at GiroCredit Vienna, the former central institution of Österreichische Sparkassen. I compiled economic expert opinions for Austrian and international corporate and real estate finance transactions as well as balance sheet analyses of international companies. Before, I worked in the real estate development department and as banking trainee. I studied law at the University of Salzburg as well as business administration at the Vienna University of Economics and Business Administration. In 2008, I successfully finished the management consulting and CMC training (organised by incite – Vienna Economic Chamber). Besides various banking trainings (amongst others the credit training of Chase Manhattan Bank, London), I attended personality and leadership trainings. On the other hand, I held in-house trainings and was lecturer of the General Management course at the University of Salzburg on accounting and financing.